As happens, every so often Ranger Gama sets up another race event for Reavers. The last one had us flying around in Drakes back at the end of December. This time around the Gnosis, the Society of Conscious Thought battlecruiser, was the hull of choice. 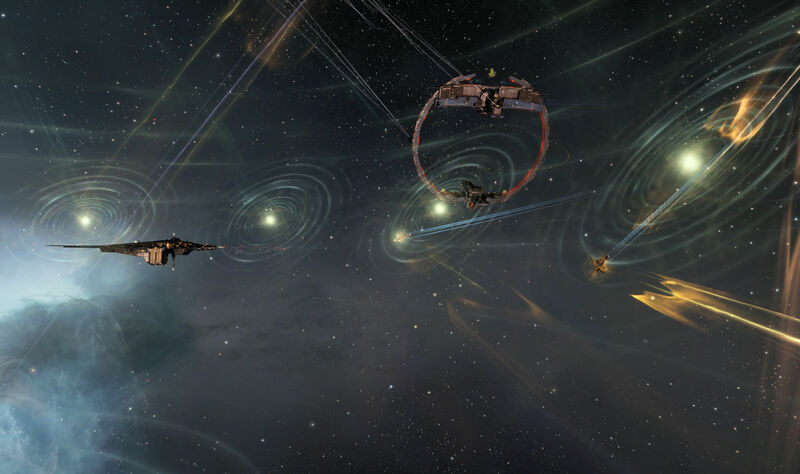 We gathered together at 02:00 EVE Online time and Ranger Gama handed us the ships for the race. 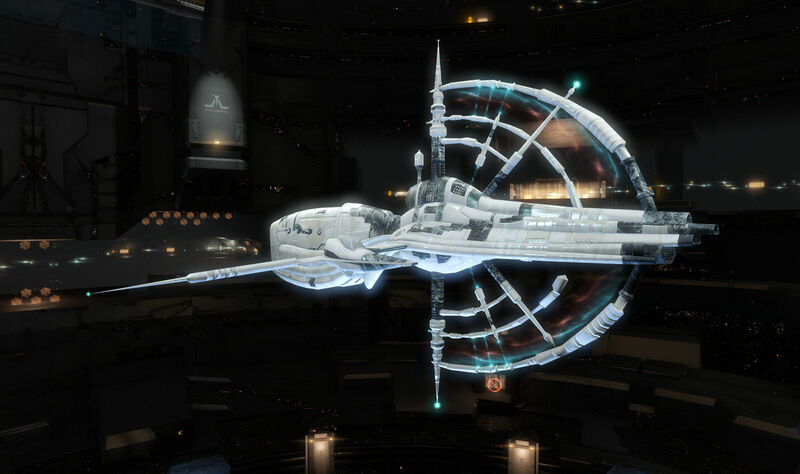 The Gnosis is a bit of an odd bird, one of the rare faction battlecruisers… I think it was the sole such example until we got the Triglavian Drekavac recently… along with having very low skill requirements to fly as well as bonuses to which ever weapon system you prefer to mount. Rails, projectiles, beams, missiles, and drones all get a boost on this hull. Of course, for a Reavers race the fit is always part of the equation, though weapon systems rarely come into play. We got our ships and found the usual odd set of modules. There was also an Ironblood SKIN in each so people could spiff up their ship. I already had that SKIN. In fact, I was a bit surprised to find I had four SKINs for the Gnosis already. I am not sure I’ve ever bothered to fly one, other than to undock one back in the day just to see it in space. Fireworks are the usual fit. A miner, a tractor beam, and a salvager are not unheard of. The cyno was an interesting touch, though in the cargo we found ourselves one unit of Liquid Ozone shy of being able to light it off, so nobody would be coming to our rescue that way. And we had probes. I guess we could wormhole our way home if we survived. The Gnosis gets a bonus to probe strength as well. There was also a medium warp bubble in the cargo. Those are fun at parties, though I wasn’t sure how one would fit into the race. Theoretically, if you could get far enough ahead, you could drop one to annoy the people behind you. But they take 240 seconds to deploy and if you’re that far ahead you might as well just carry on flying. Otherwise the ship was at least fit for speed. The hyperspatial rigs meant we would be warping fast for a battlecruiser. The Harlyq prize, named after a Reaver for reasons I’ve no forgotten, required you to stop and mine 500 units of Scordite along the way and have that in your hold at the finish line. Unfortunately, the timing for the race was not optimal. It was Saturday night before Easter, the second day of Passover, and a Liberty Squad op had just formed up minutes before the race ping… and there is a lot of overlap between Liberty Squad and Reavers, so much so that the two groups pretty much cannot run fleets at the same time… so that turn out for the race was pretty low. There were just five of us. Still, we were game. We all had our ships in 1DQ1-A in Delve and were ready to go. Ranger Gama had us undock then warped us to a celestial while updating the message of the day with the route. When we landed, we were off and running. 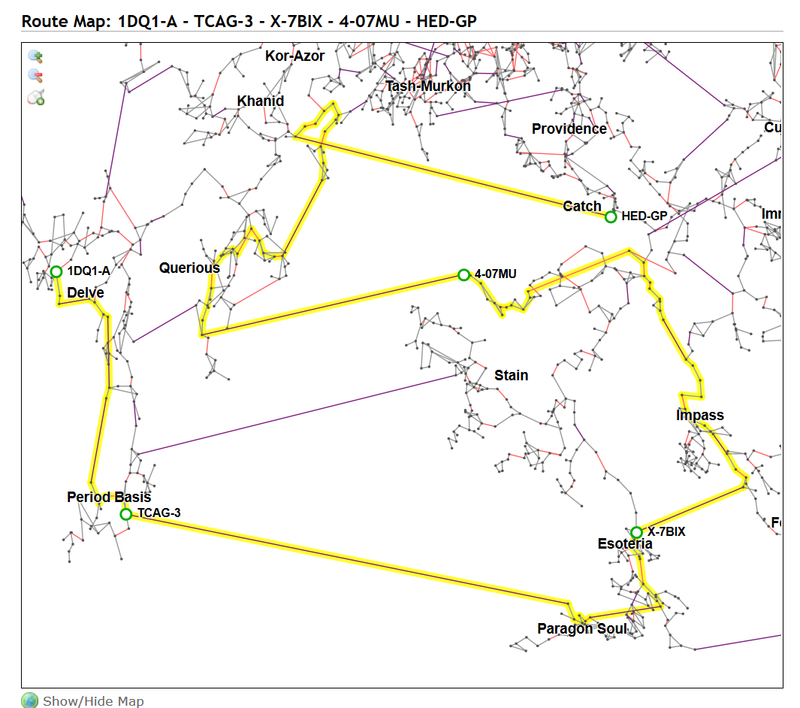 The route was essentially the same as the last one, landing us in HED-GP, a location which usually has somebody camping it. As tends to happen, with all things being equal, the person with the best connection to the data center starts to pull ahead as they transition through gates faster. As it so happened Zarakik is close to the London data center and, when we all announced our client latency, was showing an easy 10ms advantage over the next person on the list, hitting 6ms to 16ms or more for those of us in the US. Somebody did a long post at one point about the dynamics of EVE Online and specifically how to be that person who always gets the kill at a gate camp, the summary of which was “be close to the London data center.” Same thing here. We could see Zarakik gaining a lead with every gate. Our only real hope was for him to go AFK for a bit or to run into a gate camp ahead of us. And the former wasn’t going to help me much. Being on the west coast of the US I was the furthest from the data center and was falling behind everybody ever so slightly, so I would still be in last place if I just did gated and warped with the rest of them. Destined for last place if nothing got in our way, I decided to stop and mine so at least to get the Harlyq prize. The problem was just finding some Scordite out in null sec. That doesn’t spawn in mining anomalies, or so I observed, so I had to start warping to belts to find some. Eventually I spotted an asteroid in a belt without rats and ran a cycle that got me what I needed. That accomplished, I was way behind the pack. My main hope was that they would hit a gate camp. They were far enough ahead of me that I would hear about it long before I got there. 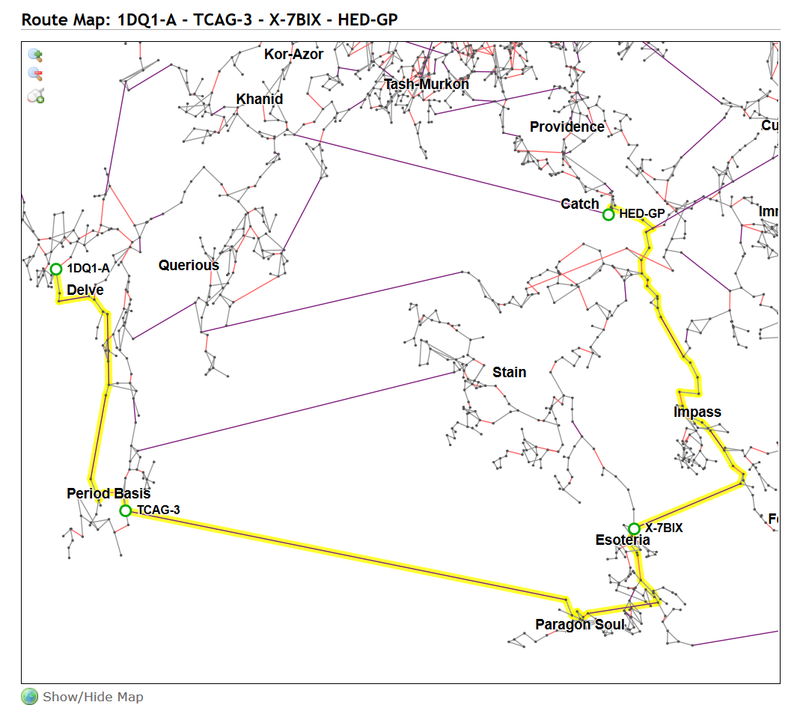 But I decided to hedge my bet and pick a route to get to HED-GP via another route. So I looked for a waypoint on DOTLAN that would get me around the straight path. It would take me longer, but last race the winner was the person who did not run the shortest path. So I set 4-07MU as my destination and started taking gates. After a bit I started to suspect I might have made an error as I noted along the way some of the things the people ahead of me had mentioned. I then realized that I had simply made 4-07MU my destination and that the shortest path there was to go through HED-GP and back around through Querious. Navigational error on my part. But it did not matter. As it turned out nobody was camping anything along the route. TEST and its allies have a campaign of their own going on in the east and were probably all deployed out there. So the five of us just flew through their space, all arriving in HED-GP unscathed, without much of a scare. I think somebody saw an Onyx along the way, but it didn’t come after us or anything. Then there was the question of what to do when you don’t lose any ships. Ranger Gama did not want them back. I flew mine back to 1DQ1-A through Querious, half hoping to get caught along the way. I arrived back in Delve intact, missing only the mobile war disruptor, which I dropped along the way during the race. I aligned for a gate at one point, triggered my micro jump drive to put me 100km off the gate, and set it to deploy. I figured that would annoy somebody. And somebody did take the time to kill it. Ranger Gama also dropped his and it was popped by a couple of the same people. Zarakik dropped his in TEST space where it got solo’d. EVEBruceL and Hoff Talvanen either didn’t drop theirs or dropped them some place where they simply expired before anybody felt like shooting them. The final aspect of the race was to find out what the Harlyq prize would be. “Something special” covers a lot of ground. But later that evening a contract popped up from Ranger Gama. I figured out what he did with the spare Gnosis hulls he had. They were all set up as mining ships, with cargo expanders in the low slots and mining lasers in the high slots. I doubt I am going to mining in them. I’ll have to find a decent PvP fit and take them out to get blown up… once I’ve insured them. Of course, we’re back to what to fit. The Gnosis works with so many weapon systems. Maybe lasers. At least those are pretty. 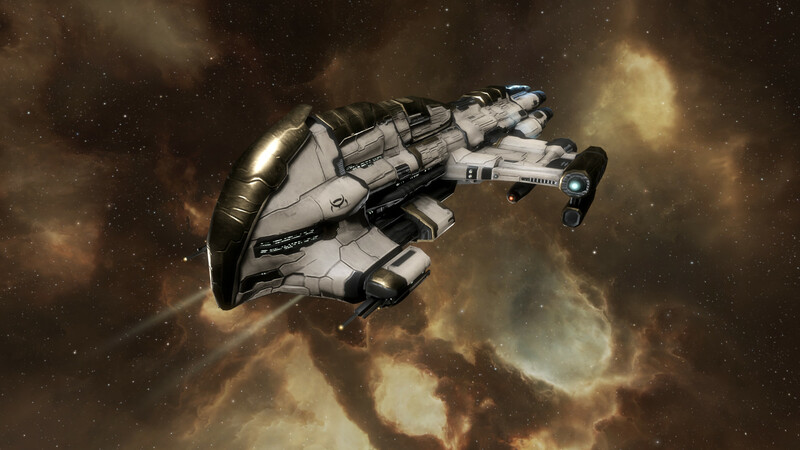 This entry was posted in entertainment, EVE Online, Null Sec and tagged 1DQ1-A, Gnosis, HED-GP, Ranger Gama, Reavers on April 22, 2019 by Wilhelm Arcturus. 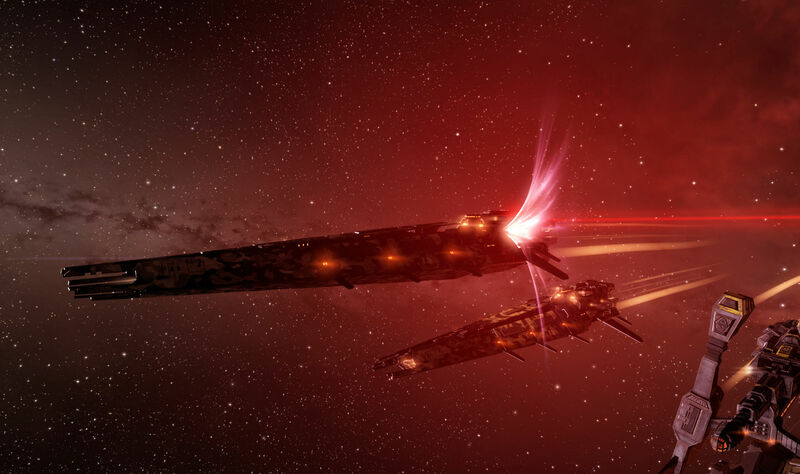 Last week’s announcement from CCP that Brisc Rubal had been removed from CSM13 and his accounts permanently banned from EVE Online was a bit of a bolt out of the blue. Many people were stunned. Some were saddened that a CSM member who spent so much time trying to reach out to the community turned out to breaking the rules. Others were less surprised that a lawyer and lobbyist… read politician… might somehow be corrupt. Brisc had more than his share of detractors who were unhappy with his background, style, or lack of deep knowledge when it came to the mechanics of the game. And being yet another null sec member of the CSM made him a target of opportunity for those who remain angry at the over representation on the body of that part of the game. Remember when CSM13 seemed kind of drama free? There has been current in the community that feels CCP doesn’t ban enough people, botters, RMTers, cheaters, or whoever. But at least you could assume that this was because CCP was being very careful about handing out bans. As I have said before, banning people who do not deserve it is the worst outcome as it is a very quick way to make a happy customer unhappy with your service. Following this statement, we have held further discussions with the affected parties. We have also been conducting an internal review to substantiate the evidence available to us and evaluate our handling of the situation. We intend to share a full follow-up statement next week. Transparency, fairness and trust is of utmost importance to us, which is why we’re issuing this brief update while also taking the time to ensure that we conduct a thorough investigation. We understand that there are many questions lingering over the incident, and we want to assure you that we take this matter very seriously. Both the sanctity of the CSM and the relationship we have with our players is of paramount importance to CCP. As should be expected, we will issue a full and frank apology for any mistakes for which we are responsible, as well as provide appropriate reparations to those affected by any erroneous actions we’ve taken. My assumption that CCP would have done a full and thorough investigation before leveling accusations and banning a member of the CSM in a very public fashion was apparently wrong. This has, of course, opened a can of worms. The forum thread for responses to the dev blog gives a view into the spectrum of responses to this revelation. Some people are happy that the whole affair is getting a review, perhaps ignoring the implications the need for said review for the moment. Kicking back some of that sweet, sweet RMT money? And then there is the question about how we got here. This whole affair was set off, according to CCP, based on information “brought to us by the CSM themselves.” While that sounds like an all-inclusive phrase, I suspect that 9 members of the CSM turned as one and pointed a finger at Brisc. The problem with the CSM being a mostly null sec entity is the real possibility of null sec politics entering into things. We saw in the past information sufficient to have a CSM candidate remove from the ballot leaked out, allegedly because he was a proponent of shield supers and a group heavily invested in armor supers did not want that voice in the ear of CCP. So, while we will likely never find out, one wonders if the information provided to CCP was simply incorrect, misunderstood, exaggerated, or deliberately planted. And none of this reflects well on CCP. If, after an investigation, CCP sticks with their initial decision, they’ve only managed to look incompetent in the eyes of the community. And if they revoke the ban, well then they are really incompetent, showing favoritism, and whatever other conspiracy theories you care to spin. Plus, what does Brisc do then? Is he back on the CSM? Does he run for CSM14? Does he wash his hands of all of this and just remain a regular guest on the Open Comms show? There is word that the elections for CSM14 are coming soon, and this will no doubt cast an additional pall over what some already consider a suspect organization. Back when the ban was first announced there were jokes thrown around about wanting to see the Mueller Report on the incident. And now there actually will be a follow up report! And what we will end up hearing will likely be an extremely redacted version of it which will, as in real life, only lead to more questions and people jumping to conclusions. Not a bright and shiny spring day for the team at CCP. I stated in my own blog post that after the initial Dev Blog we would hear no more about this from CCP. I was certainly wrong on that count. 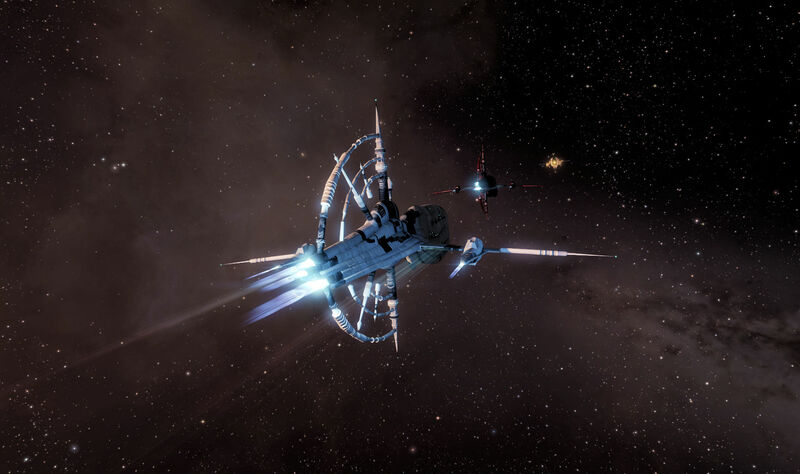 This entry was posted in entertainment, EVE Online, Null Sec and tagged Brisc Rubal, CCP, Council of Stellar Management, CSM13 on April 18, 2019 by Wilhelm Arcturus. Another night, another fleet. The ping was for Eagles as usual, so I logged in and got the important bit out of the way; deciding which SKIN my Basilisk would wear. I have to figure it out in advance because you can’t change your SKIN when somebody has you locked and, being in the logi wing, I was set to be in the cap chain and locked by two other people for most of the op. Usually I run the Emergency Response SKIN, which is done up like an ambulance, complete with flashing lights, since that goes with the Police SKIN the Liberty Squad FCs usually run on their Monitors. This time I figured I would go all red with the Rataa Sunset SKIN. Liberty Squad is full of faux patriotism and I tried to get the logi wing to go all red, white, and blue SKINs at one point. In what is probably a reflection of the general population, about half the fleet embraces SKINs in some way, while the other half rejects then and wants nothing to do with them. While I was pondering that our FC, Zintage Enaka, was trying to get the fleet composition together. Our problem of late seems to be getting the right number of boosters for the fleet. Not that that is a new problem. I think half the fleets I’ve gone on over the years has spent some amount of time trying to find the required boost, with a good percentage of those threatening not to undock unless they get them. I always feel a tinge of guilt during that scenario, as I have the skills to fly a booster. And, when it comes down to it, the job isn’t difficult. Boosts up when the FC says, boost down when he calls for that, gently remind the FC now and again when boosts are still up when they are determined to suddenly travel. I just hate the waste of being a booster. Inevitably I have the wrong implant so have to buy the right one and destroy the old one to put the new one in. Then on the next fleet they’ll need somebody with the old one and the cycle will repeat. I’m not poor, but I’m not keen waste that much ISK nearly every fleet. And FCs can be insistent about your implant. I had an FC threaten to kick me if I didn’t change my implant for a move op. A freaking move op, with no fixed doctrine and a wide mix of ships, but my implant was somehow critically important. So I gave up on that. Instead I sat quietly in the logi channel while that got sorted. 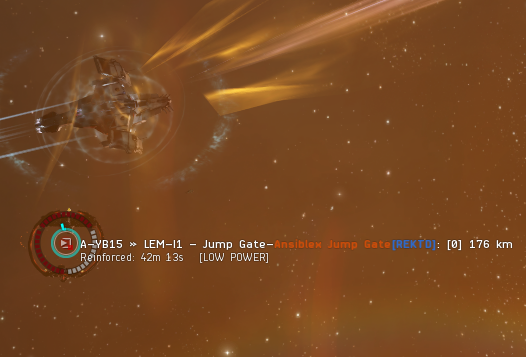 I take comfort in the fact that, after boosters, logi is the other thing that the FC will call for before they undock. At least I am filling one of the critical roles. And things did indeed get settled. Boosters were found, sufficient logi pilots filed into the fleet, and we at last undocked. However, rather than turning the usual direction to head into The Kalevala Expanse or The Spire, we headed for a different gate. We were headed into Geminate, the core home area of Pandemic Horde. As we flew into their space Zintage explained that PH was off to fight with Guardians of the Galaxy… because the north is still fighting amongst themselves in addition to having us lurking about… and we were going to use this opportunity to do what we do best… fly around in circles and shoot structures. And, specifically, Ansiblex jump gates. 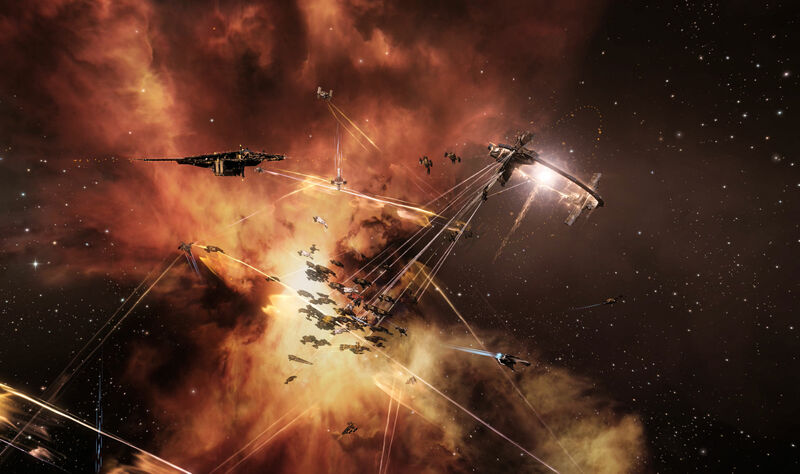 These have the advantage of being a bit less of a commitment than reinforcing something like a Fortizar as well as the immediate impact of disrupting the local jump gate network. When you put them into their reinforced state they stop being able to pass ships. While PH was away these were mostly undefended. Mostly. People put them on grid with Fortizars and Keepstars for a reason. Fortizar on grid with us as well. And somebody did wander out to take potshots at us from the Fortizar. Killing subcaps at that distance with a Fortizar takes some serious luck, but it did mean that logi had to wake up and rep somebody now and again. The gunner had his fun I guess, though he mostly complained in local about the state of Upwell structures. He did not stop us from reinforcing the the Ansiblex under his care. PH times their structures for USTZ, which means we might form up for a return visit. We moved on to the next Ansiblex on Zintage’s list. 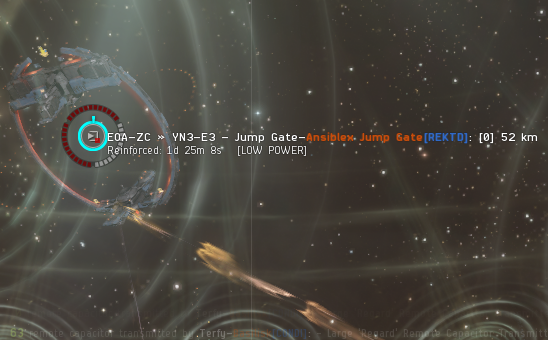 This time nobody came out to gun the Fortizar so we just flew around the Ansiblex and fired away. When that one was about in the bag Zintage did an ammo check to see if we had hauled enough rounds along to reinforce a third Ansiblex. People were running dry on T1 structure bash ammo. It turned out a lot of people had been getting deflections all along, meaning their shots were over the damage cap and weren’t being counted. Had we started out the evening with guns split and pilots only shooting half their rack we likely would have had the ammo for another target. But thinking about that two structures in meant we were not going to make it that far. It was time to turn for home. Word from the north was that PH had a mixed bout with GotG up in C4C-Z4 in Fade. However, further word was that their Munnin fleet got caught by somebody on the way home that turned the loss meter way up for them. Zintage looked into positioning us to intercept the remains of their fleet as it gated home… some of their jump routes now being in operable… but they took a route back out of our way. So we turned for home ourselves. 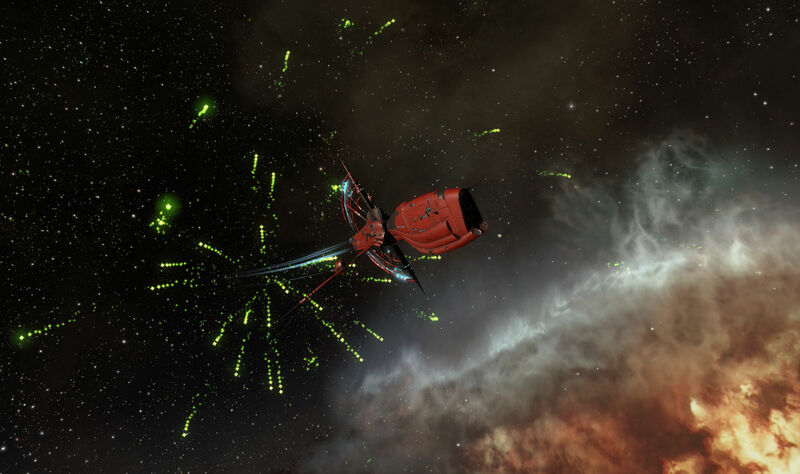 Another op success in the smoldering east of New Eden. 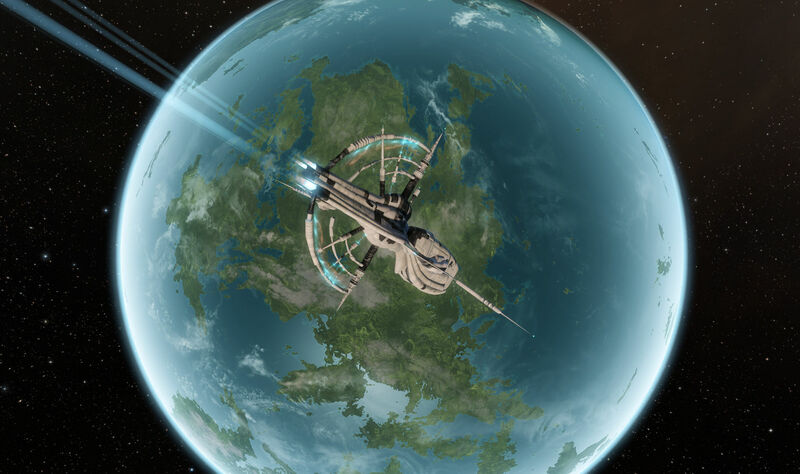 This entry was posted in entertainment, EVE Online, Null Sec and tagged Geminate, Liberty Squad, Pandemic Horde, Zintage Enaka on April 17, 2019 by Wilhelm Arcturus. As I wrote last month, I am going to try to look at more specific aspects of the monthly economic report going forward. We got the March report last week, just a couple days after the April update introduced a series of nerfs to both ratting and mining. I took a measure of ratting last month, so this time around I want to get the “before” picture for mining. 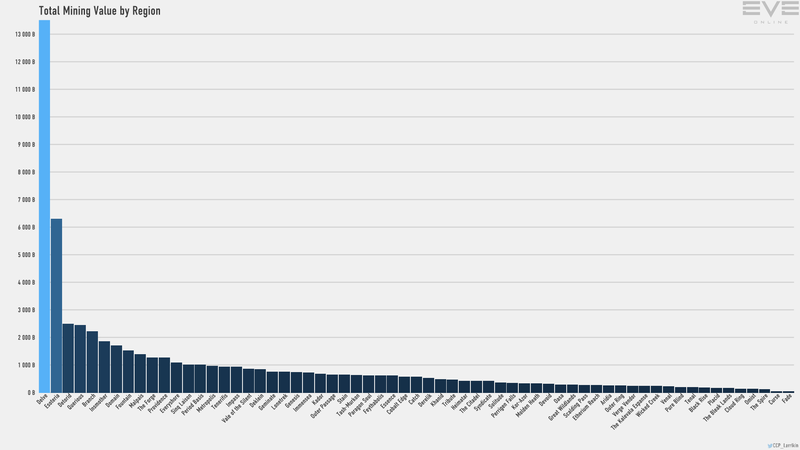 There was, as usual, a lot of mining going on in March, a good chunk of it in Delve. Delve is, of course, where the Imperium lives. Second place goes to Esoteria. Both regions were up over February. Overall, according to the raw data that comes with the report there was about 56 trillion ISK worth of ore mined in February, which went up to just shy of 59 trillion ISK worth of ore mined in March. The price of ore itself was up just a bit in March. I am not sure that is enough to account for the difference between the two months, but overall the count is close enough that the two months are pretty on par. February being three days shorter than March could make up the difference. Dividing the total amount by the days shows the per day yield tilted towards February, with 2 trillion ISK per day versus 1.9 trillion ISK per day in March. Still, pretty close. Reduced yield and slower cycle times for excavator drones are direct swipes at Rorqual mining efficiency. 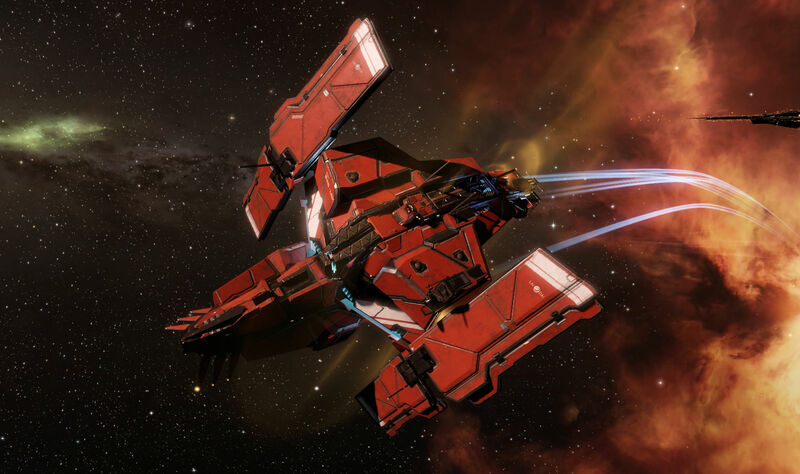 Reduced PANIC duration makes Rorquals more likely to die while waiting for rescue to arrive and larger excavator drones means that Rorqual pilots won’t be able to stash so many excavators in mobile depots to save them from destruction. The Rorqual also won’t provide as much protection to mining barges and exhumers in their fleets, though the mining yield for those craft will go up, an incentive to fly the smaller and more vulnerable subcap mining ships. So the question is whether or not these changes will have any impact. We will have to wait for the economic report for April to come out next month to see. Meanwhile, going back to last month’s post, the top sinks and faucets chart shows bounties were down a bit, continuing the trend from February. 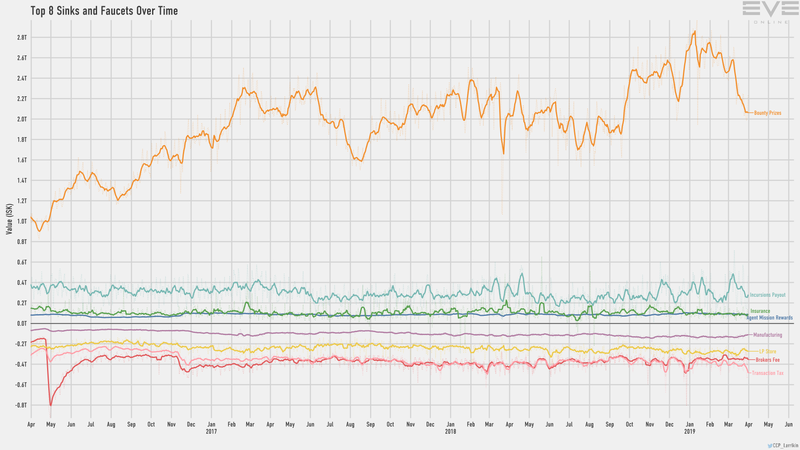 Overall February and March were not that far apart, being about 70 and 71 trillion ISK in bounties respectively, but the chart is trending down and the bounty payouts per day were almost 2.5 trillion ISK per day in February while that sank to 2.3 trillion ISK per day in March. We will see if the April update changes, which hit fighter damage application against sub caps (which hurts carrier/super carried mining) and nerfs to the Vexor Navy Issue (the favored AFK anomaly sub cap) keeps that trend pointed down. You can find the full March economic report here, which includes all the usual charts and graphs, plus the data used to generate them. 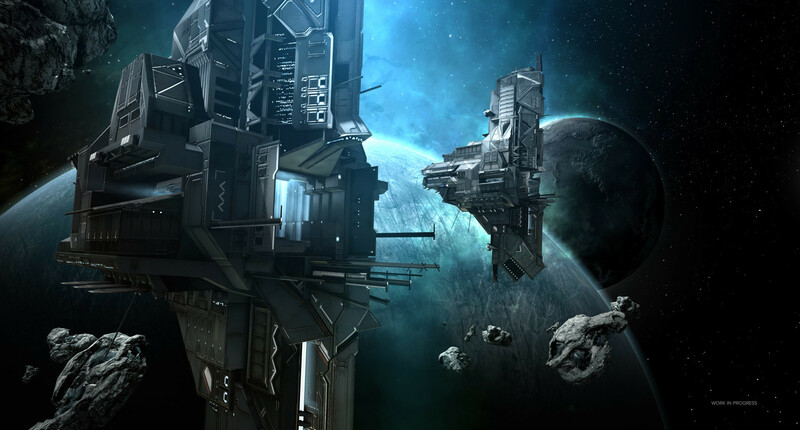 This entry was posted in entertainment, EVE Online, Null Sec and tagged EVE Monthly Economic Report, MMO Economy on April 15, 2019 by Wilhelm Arcturus. 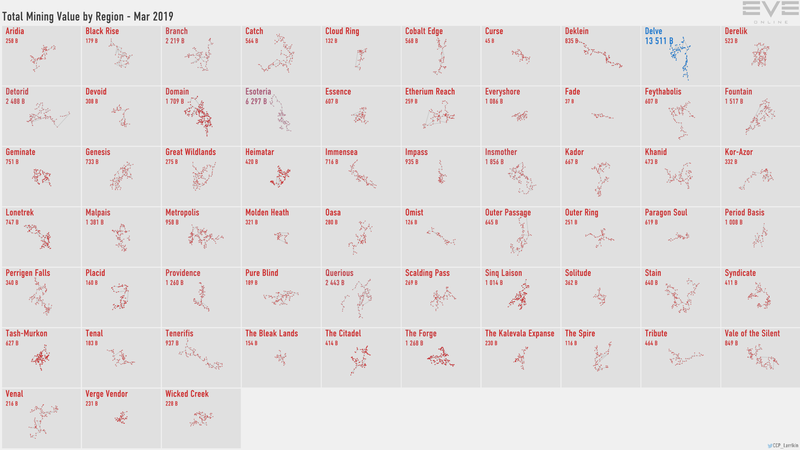 There are still a lot of somewhat low key operations running in the east of null sec on a regular basis. My own alliance has a deployment running and a lot of ops, though they tend to run when I am at the office. But Liberty Squad has me covered for US time zone evening ops. There had been a warning ping about the approaching op, so when the real ping came over Jabber I was already logged into the game and ready to go. We were advised to bring plenty of structure bashing ammo (read: cheap T1 rounds) so it was clear what we would be up to. Once we got the fleet assembled… which took a bit because there were other competing ops running… we were able to undock and head out. We even got a ride to our destination rather than having to gate our way out. We landed in A-YB15 out in The Kalevala Expanse, which meant back to hitting Pandemic Horde structures to keep them from being able to turn the region into a rental income area. We set up on anchor at a Fortizar and started shooting that, but it was clear to me what the real target of the night would be. We were just setting up the Fort for later, but there was an Ansiblex Jump Gate on the grid that would be ready to kill in under an hour. We were just biding our time, setting ourselves in place for the real target and to be ready if Pandemic Horde came to defend it. But for the time being we were pretty much left to our own devices. 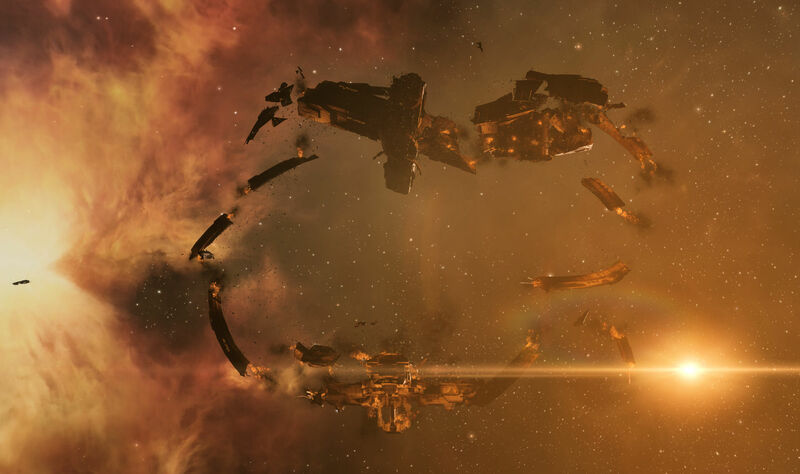 Nobody even came out to gun the Fortizar. The idea was to take up the time waiting for the Ansiblex by reinforcing the Fort, but we ended up done with that and still had 20 minutes on the clock before the main event. So we found a Raitaru in the system and shot that as well. That didn’t take long either. It was even unfueled, which meant we burned through both the shield and armor. We blamed RatKnight1 for speeding us up with his high DPS Kikimora. It took me a moment when I first saw him out there. To my brain a solid red beam is a target painter and not the Triglavian weapon system. When spun up to full power he was doing considerably more damage than the average Eagle was. With the Raitaru set, we just loafed around the Ansiblex, waiting for the timer to get down to zero so we could start shooting. There was some concern that Pandemic Horde would come out to defend it, since this would be a kill and, while it is easy enough to just drop a new one… it used to be the same deal with the POS jump bridges and so we wouldn’t kill them, just burn through their armor so the owner would have to work to finish the kill or repair the module… it does cost ISK to set these up over and over again as we kill them. But they let us be and when the timer hit zero we opened fire. I had a couple of combat drones in my drone bay and we were close enough that I was able to set them on the structure to get on the kill mail. However our FC, Zintage, was once again reminded that you cannot use a target painter on structures, and since that is all the monitor can mount, he did not get on the kill mail. But he had already been in on a Brothers of Tangra Ansiblex kill earlier, so he was ahead of the game. The Ansiblex blew up shortly, leaving a glowing wreck behind as we aligned back for our staging base. Thanks to cooperation with some of the locals we had a ride most of the way home as well, using one of their Ansiblex jump gates. With rides both ways it ended up being a fairly short op for how much shooting we did. But I am sure there will be more to shoot again tomorrow. 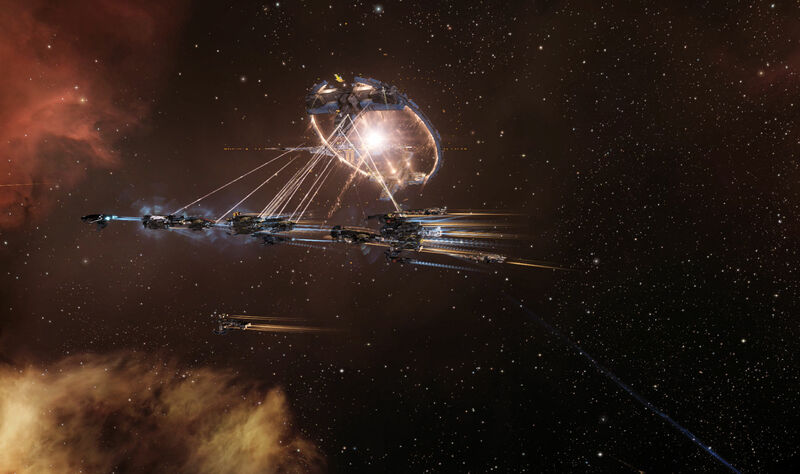 This entry was posted in entertainment, EVE Online, Null Sec and tagged Liberty Squad, Pandemic Horde, RatKnight1, The Kalevala Expanse, Zintage Enaka on April 11, 2019 by Wilhelm Arcturus. The April update is here and we had been warned that big things were coming. The first item on the list is the change to remote repairs that gives them diminishing returns, so that the more reps on a target the less effective each rep becomes as the number or reps increases. There was a whole dev blog released about upcoming changes for April, and this was at the top of the list. The idea is to have more capital ships die by once again trying to nerf faxes. We’ve been here before, as the Onslaught expansion nerfed faxes last November. 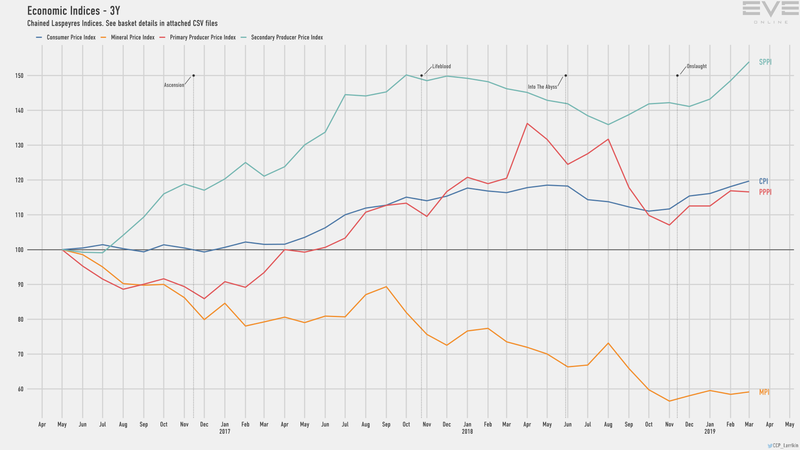 While this change also affects sub capital reps as well, CCP has charts to prove that the impact on them should be minimal compared to the hit to force auxiliaries. Also on the capital front, the dev blog above also contains some nerfs to how well they can apply damage to sub caps. 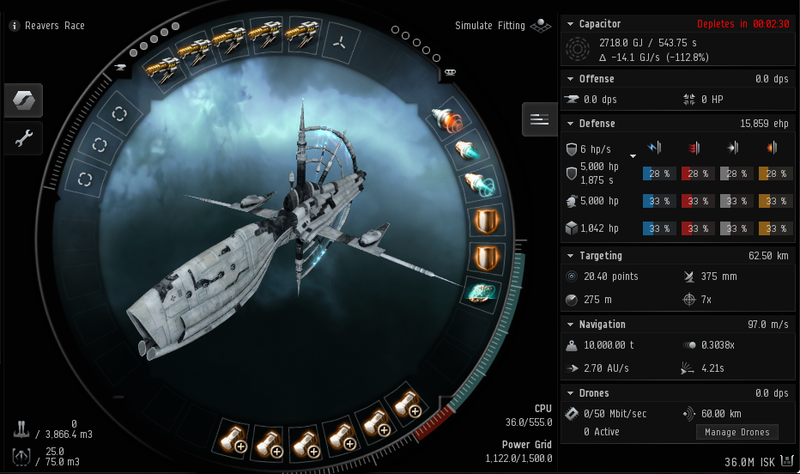 High angle weapons (read: anti sub cap weapons) are being nerfed in order to make titans less able to kill sub caps with impunity, while boosting their effectiveness when used with a siege module, to keep dreadnoughts in the game against subs. Also, damage application for fighters is being nerfed, which I imagine will have an impact on both the effectiveness of carriers and super carries at gate camps as well as for anomaly ratting. As I mentioned in reference to last month’s economic report, they are still tinkering with anomalies and ratting to try and stem some of the flow of ISK. Ratting is also a passing focus of the sub cap rebalance, which nerfs the Vexor Navy Issue, everybody’s favorite forsaken hub runner, by removing its drone velocity buff and increasing its signature radius. Finally on the economic front, there are a few hits against Rorqual mining. Mining yield and cycle time are easy to see as attempts to slow down the voracious null sec Rorquals. Likewise, reducing the duration to the PANIC module makes a Rorqual more likely to die. The size of excavator drones however, that is an attempt to get a side effect. 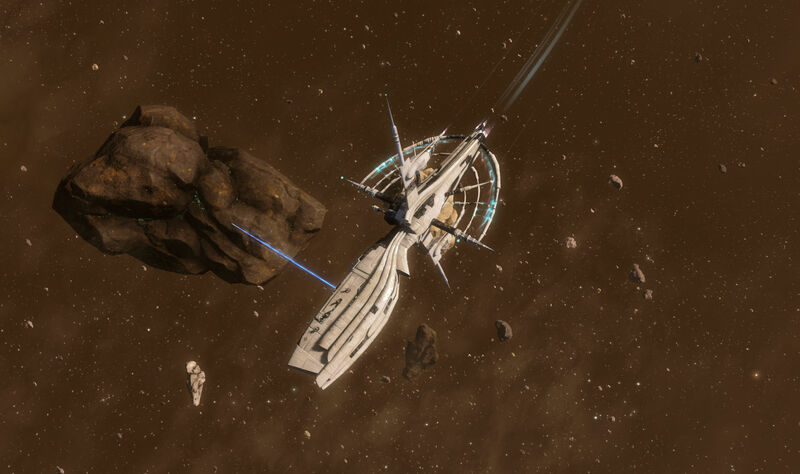 Right now if your Rorqual gets dropped on you drop a mobile depot and put your excavator drones in there. Those drones are expensive and that helps mitigate the loss of your ship. 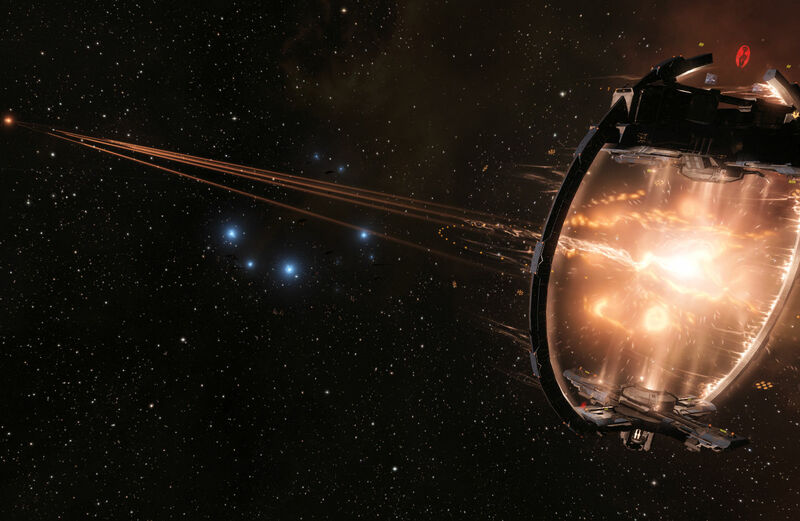 Making them bigger means you can’t hide as many, meaning if your Rorqual gets destroyed you’ll lose some excavators making the loss more expensive. Meanwhile, if the Rorqual is shepherding sub cap mining ships, they’ll be more vulnerable but will have better mining yields. So that is the capital and economy themes of the patch, but that isn’t all. On the war declarations front there are updates (covered in this dev blog) to close the neutral assist loophole. Then there is the rest of the sub cap rebalance which nerfs the popular Ferox some and improves medium beam lasers so maybe the long neglected Harbinger, which also got an increase to its power grid, will see some use in fleets. And the patch notes keep on going. 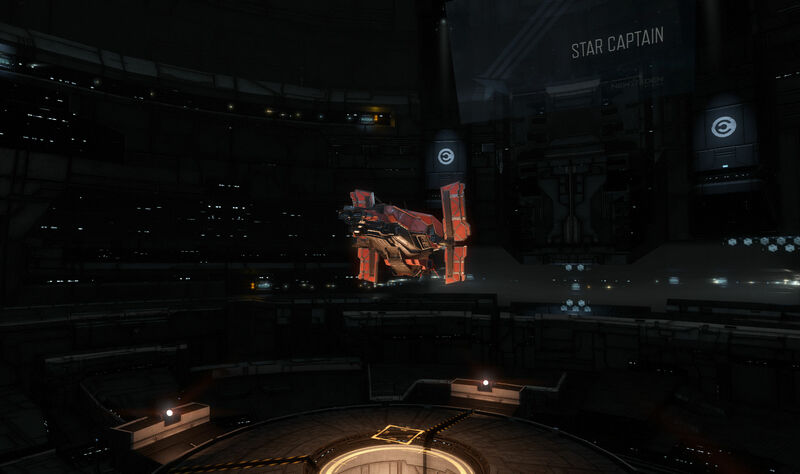 There are some graphical updates to station hangars (mood lighting), the monument to commemorate Katia Sai’s journey has now been deployed in the Saisio system, and the planet at Yulai IX has been named “Kjarval” to honor the long service of CCP Guard who recently left CCP to pursue another dream. Missing from the patch notes, but called out in the Spring update dev blog, were changes to insurance. 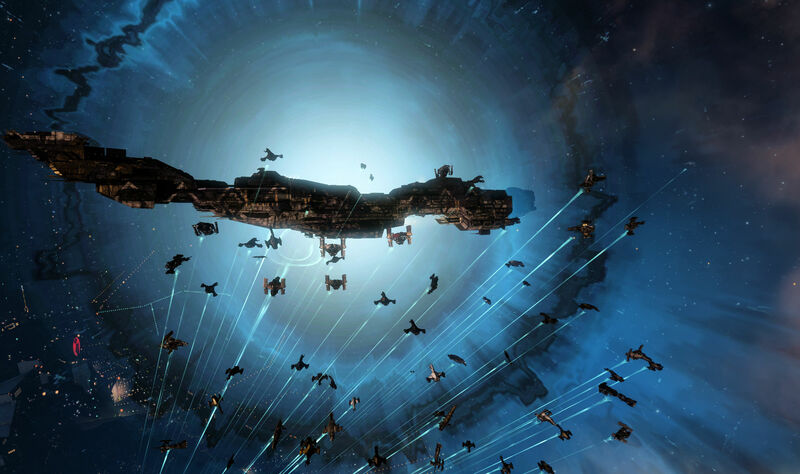 It is not uncommon for CCP to miss something, but that is kind of a big item to omit. There are more details, but I think those are the highlights of the update. That is certainly all I am going to bother calling out. Now we will just have to wait and see if any of this changes the meta. I personally want to fly a Harbinger because I like lasers. News of the successful deployment of the update went out earlier today. For all the details that CCP opted to share you can read through the patch notes or take a look at the updates page. 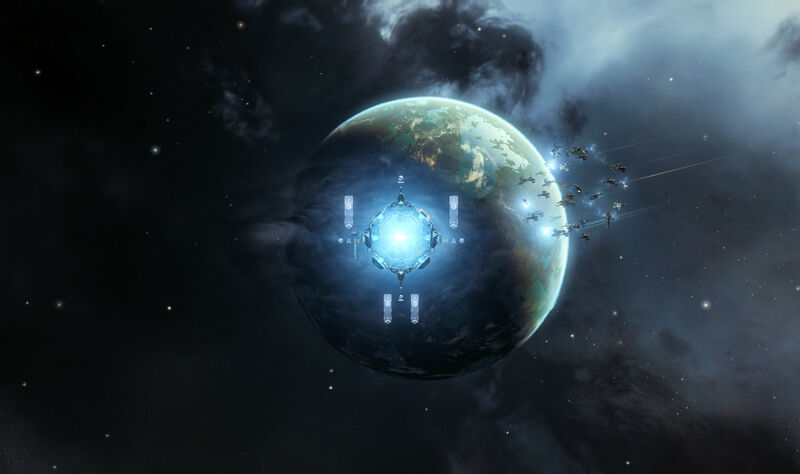 This entry was posted in EVE Online, entertainment, Null Sec and tagged EVE Updates on April 9, 2019 by Wilhelm Arcturus. I thought the CSM might be past the whole “somebody gets kicked every year” routine, but here we are again, only well beyond the usual removal scenario. Brisc Rubal has been found to be sharing confidential information with a member of his alliance that was later used by another alliance member to conduct illicit in-game transactions. All his in-game accounts have been permanently banned from the game. 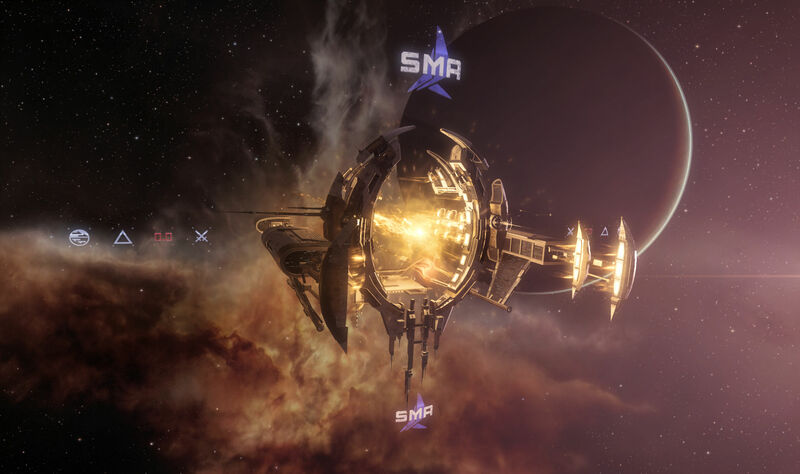 According to the Dev Blog, the information that led up to these actions came from CSM members concerned about the integrity of the institution. For those asking, I do not know why I was banned from EVE and removed from the CSM. I have asked for clarification and have received none. I categorically deny any wrongdoing and look forward to clearing my name and having my reputation restored. Being a politician in real life, there was no shortage of quips in response to his statement. Brisc Rubal also appeared on an impromptu episode of Talking in Stations with several current and former CSM members to talk about the situation. When the recording for that is posted you can listed to the discussion that came about. While people being removed from the CSM has not been an uncommon occurrence in the past, and even insider trading has come up before, but seeing a CSM member removed from the council and having their accounts permanently banned from the game might be a new low for the institution. I suspect that we won’t hear anything further from CCP on the topic unless they uncover compelling evidence that causes them to change their decision. CCP isn’t a civil government and you sign away all your rights when you accept the end user license agreement and terms of service, and probably all the more so when you sign the NDA as a member of the CSM. Some additional steps to help prevent similar conduct in future will be implemented. Starting from the next summit, we will impose a rule that prohibits electronics during CSM sessions and will take extra time to educate everyone about confidentiality, insider trading and general do’s and don’ts when it comes to operating under NDA. I don’t know how electronic devices enter into this affair, and likely never will, but it is interesting that it is brought up specifically. And then there is the question of a replacement. Often when a CSM member is removed the next person in votes from the election is tapped to join the council. 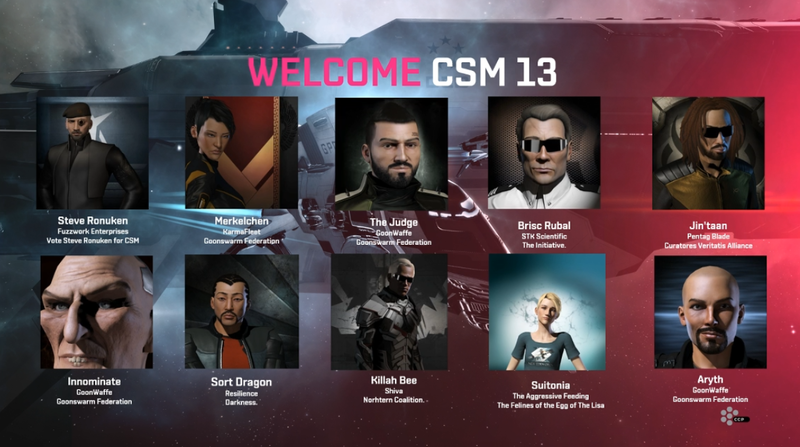 However, the Dev Blog notes at the end that the CSM14 elections are “approaching fast.” Though there hasn’t been an official announcement yet or a timeline laid out, I suspect that this means that it is too late in the CSM13 term to bother bringing somebody new on board. The summits have happened already and a new election is in the offing. Finally, in a moment of either good or bad timing, depending on how you look at it, MMORPG.com published a long post about the CSM this morning that goes into some of the ups and downs of the council. The post has since had today’s events appended. 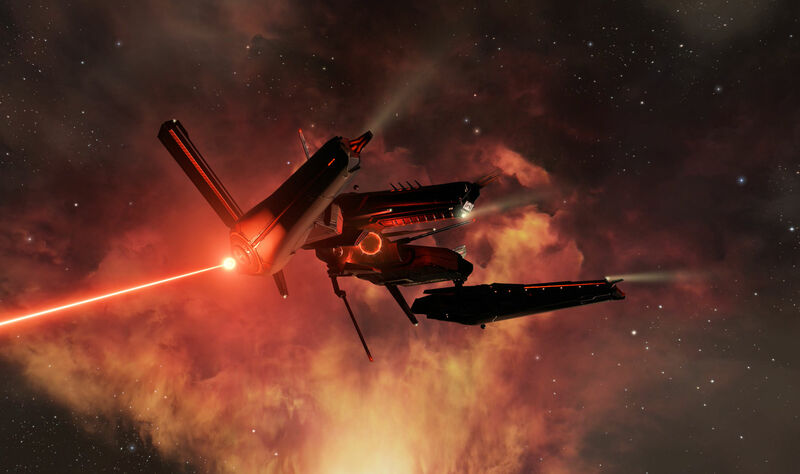 This entry was posted in entertainment, EVE Online, Null Sec and tagged Brisc Rubal, Council of Stellar Management, CSM13, mmorpg.com on April 8, 2019 by Wilhelm Arcturus.